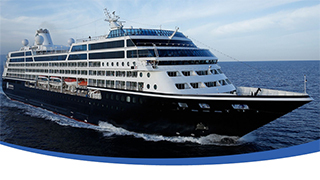 For years Azamara Club Cruises has promoted its late nights and overnights at ports. "80% of our time is spent in port and 47% of that is late-night stays past 8:00 P.M. and overnights," reminded Lori Goldspiel, director of sales-west for Azamara, to agents at the recent Avoya Conference. From spending two days, three nights in St. Petersburg to late evenings in Santorini, the brand's theme of Explore Further has been consistent, to say the least. But now there's something that enables Azamara to explore even further. The addition of a third ship in August, the Azamara Pursuit, will enable its customers to explore far more parts of the world, from Norwegian fjords to Chilean fjords. "Explore Further for us is not a catchphrase, " said Robert Fitzgerald, strategic business development manager for Azamara. "It literally is our whole ethos of what we wake up in the morning thinking about. Three ships equals seven continents--we're now sailing the world." As with other cruise lines in this segment of the business, Azamara is placing a growing emphasis is on supplementary land tours. "In Peru, not only do you get a chance to sail into some amazing destinations and ports, but we've got really cool -- I'd almost say rad -- land programs where we're going to," said Fitzgerald. "We heading up to Machu Picchu and the Sacred Valley, and we're staying in some of the best hotels." It goes beyond South America, of course. "The crown jewel for us is Africa," continued Fitzgerald. "We'll be doing safaris with Micato Safaris, plus A&K is going to be our land operator, not only in Africa but also in Australia." The flip side of far-flung exploring is a more in-depth exploration of a single country, and Azamara has that covered, too. "We've got a number of country-intensives throughout the world, and the philosophy behind these is almost every single port of call is in that one country," explained Fitzgerald. "We've got six South Africa intensives, where every port is in South Africa." Another country Azamara offers in depth is Ireland. "We'll have two [Ireland Intensives] in 2020, with five late-night stays, two overnights," he said. "Dublin has nightlife. Our late nights give you ample opportunity to go on a pub crawl, to go experience some Irish whiskey." Of course, Ireland is not just pubs. "We circumnavigate it," he noted. "We really get into smaller ports of call that no one else is calling on that are less touristed and very dramatic." Agents may recognize the Azamara Pursuit as the former Oriana of P & O. Particularly of note to the North American market is that the former R-class ship was used by Fathom for cruises to the Dominican Republic and Cuba, so she's used to exploring more out-of-the-way ports. "Our three sister ships, the Journey, the Quest, and the Pursuit are all identical," summed up Goldspiel. "The Journey and the Quest were redone in 2016. The Pursuit is in dry-dock now. The only difference with the Pursuit is that she is not going to have a casino." 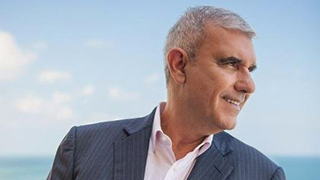 It doesn’t sound like Azamara Club Cruises President/CEO Larry Pimental thinks many guests will miss that entertainment option. Pimental says the line is recreating the space and calling it the Den and Destination lounge. "One will experience a cabaret bar, very cozy and comfortable sitting areas, the new shore excursion area, further cruise sales, high top meeting areas, game day television and an extended coffee area.